Today’s post is going to be a little review on a beauty tool I was kindly gifted from the guys at Beauty Essentials UK . It’s the “Shadow switch”, a dry brush cleaner that allows you to mix and match different powder products and use the same brush. Pretty impressive right? So above, you can see the product and a few of my eye brushes from the brand Royal and Lang-nickle which I bought from hooked up. First impressions: So when the postman rammed this little package in my letterbox I was so excited to see how it worked and give it a go. First thing I noticed was how lightweight it is, it weighs practically nothing. Once opened I was surprised at just how simple it was, essentially it’s just a soft mesh like sponge in a tin. Sceptical was an understatement. First use: I used two fluffy brushes to test the product. Swirling my brushes into two different shadows, I blended onto the back on my hand. To start I used a really light brown shade. Then I pressed the fluffy brush hairs into the sponge and swirled my brush for around 15 seconds. 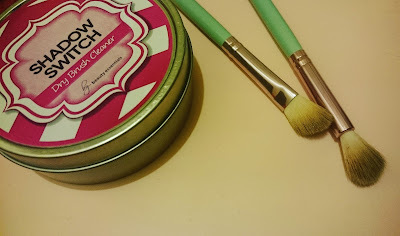 I could see the product left on the sponge and my brush hairs had stained BUT there was no excess brown shadow on my brush. I tested on the back of my other hand to see if any colour came off, there was none. Repeating the same process I used a smokey dark grey, swirled my brush around in the shadow switch then picked up a really light grey colour. There was absolutely no dark product left on my brush. Would I recommend this product? Definitely. I can see it being a really handy little tool to have and perfect for professional MUA’s. Is the Shadow Switch expensive, and where can I buy one? 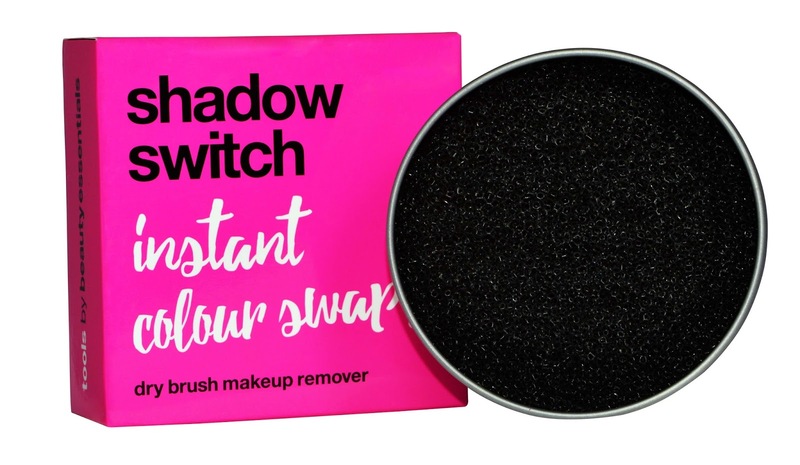 Currently, the Shadow Switch is available to purchase on Amazon for a very good price point of £5.99! They’ll soon be available on Sephora. THINGS TO NOTE: Beauty essentials are in the process of repackaging a lot of their products for launch. The shadow switch I’ve been sent is in the old packaging. I’ve attached a photo below of what the shadow switch will look like for the new launch. Same great product, just in a new packaging. DISCLAIMER: This product was kindly gifted to me in return for review, however all thoughts and opinions are my own.